I am based in St. Augustine, Florida. To see my current works, check back often or head over to the galleries listed below located in downtown St. Augustine. GALLERIES: Butterfield Garage Gallery - an iconic gallery at 137 King St. Saint Augustine has 30 artist members working in a wide range of mediums. Open 11-5, 7 days a week. 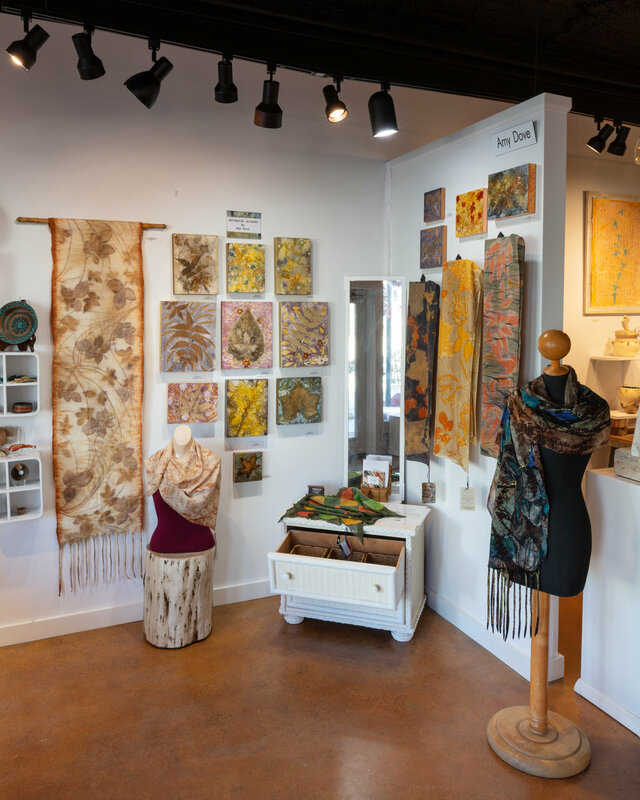 Plus, I have a large selection of my scarves and artwear at the PLUM GALLERY - 10 Aviles Street, St. Augustine - contemporary artwork by local and regional artists. I am more than willing to discuss specific applications, environments and color schemes with an eye to creating the perfect hanging for your space. or email me at amy@textuality.net. You can also check out my work on Facebook or on Instagram.